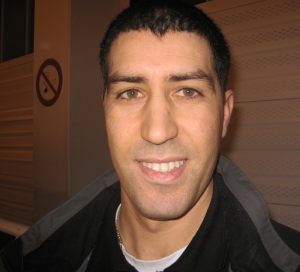 Brahim Boullane is the responsible for the centre de formation at Saint Amand as well as the assistant to Fabrice Courcier. Before joining the club this season he had spent 10 years at Fémina Wasquehal, a club he took from the from the local league all the way to third division in France (NF2). He also worked for many years in the centre of excellence (Pôle espoir at Wattignies) for the development of young players in the U15 category for the northern region in France. Many players that have passed through his hands at Wattignies have gone on to play for their national teams at youth level. Last season was a little special because three players that played for his former club at Wasquehal as U15s picked up a gold medal at the U16 European Championship. The club was also represented at the U21 Women World Championship and U20 European Championship by Laëtitia Kamba who increased her medal count. He is responsible for the technical aspect of their centre de formation and for the second team. He also oversees what is going on with the U18 team. Boullane also has an important role with the first team in a technical capacity. His knowledge of working with youth players complements Fabrice Courcier, the head coach’s principles. Both men have managed to seamlessly integrate the junior players with the players from the senior team. The presence of first team players at the matches of the junior players and the genuine integration is an indication that things are working well. 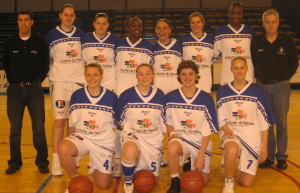 The second team with young players such Marion Devynck and Lise Sinacouty are leading their group in NF3. With only one defeat this season four more victories should guarantee them promotion. The U18 team has also had a good run this season and are challenging at two fronts for honours this season. They are still in the French Cup and they will start the challenge for the final four next month. It is not only basketball the players are occupied with. They have to go to school and Boullane gives a brief explanation (in French) of what the club has put in place with the objectives for this season in combination with a successful school education. If you will like to know more about Saint Amand’s centre of formation just fill in the contact form. You can also read and listen to Fabrice Courcier the head coach of the club on the club activities and youth development.